As you might have already noticed we live in a mobile world. The increasing use of mobile devices for everyday tasks has become a common place in the course of the last decade. Business Intelligence has not fallen behind on this trend. On this series of two blog posts on SAP Business Objects Mobility Solutions, we will analyze mobile applications that SAP Business Objects has made available to bring BI to mobile devices (more specifically the Ipad): SAP Explorer and SAP BI Mobile. Through this analysis we will learn what is the process to install the applications and review a few important things we need to consider. We will focus only on their mobility piece (Explorer for example can also be accessed on non-mobile devices) and we will also review some details of server side installation for each tool. Both of these tools can be downloaded through SAP Marketplace (if you are an SAP partner). If you are not an SAP partner but still feel like trying out these tools you can download the mobile applications from the app store and try out the demo servers SAP has made available. First off, let us give you some details on our test environment and the software that was installed in it. With the above setup ready let’s start with our first Mobile tool from SAP Business Objects. 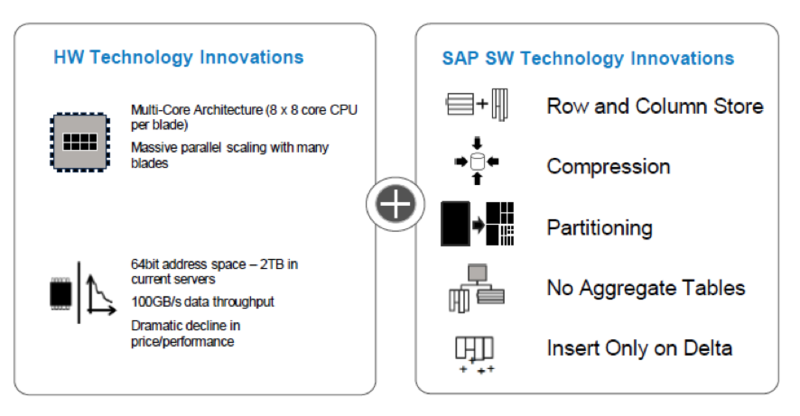 This is the first SAP tool based on in-memory technology. It is aimed for casual users who require an agile and pre-built framework for reporting but that still allows them to filter and search data intuitively. It was initially released as a web application only but the mentioned characteristics make it an obvious candidate for mobile devices, so the mobile application came out shortly after. Here you can find the full commercial brochure of the tool. Once you have the installer files downloaded from SAP Marketplace it is time to install it on our Business Objects environment. The installation of SAP Explorer is pretty straightforward. You will find that there are very few screens that we need to pay full attention to and these are the ones we will focus on during this post. You would install the application and web server components together or separated, depending on your system configuration. In our example we will install the whole product on a single machine. For environments where the web server is not located on the same machine you will have to install independently the Web Application Server Component in the list above. However, it is also possible to install, for example, the indexing server on a separate machine to optimize efficiency. The index server is the one in charge of generating the space and might require a heavy load of processing power depending on your configuration. Administrator credentials will be required during installation, so make sure you have them handy, as well as CMS name and port. Finally the node name will be requested. This is used to identify the installation in multiple/parallel Explorer setup. For example, to link an isolated indexing server to its Master server. In our case we will leave the node name with the default name (which on this case is the computer name) as all of our installation resides on the same place. If everything is setup correctly you will see the login screen for Explorer. NOTE: If you would like to review the installation process in more detail it is best to review the Installation Guide also available in the SAP Marketplace. Once the space has been configured we now need to index it. This process can be executed on demand or it can be scheduled, as a one time only or recurrent event. Depending on the size of the data selected from your universe this process might take from minutes to hours, so be aware of this before long running queries are configured to build a space. Once the space has finished indexing its data it will be marked with a green check. Now we can plugin our mobile device to the space! Before we plugin your device, first we need to download the application from the app store. We will find it under the name "SAP Explorer". There are no complex requirements on this configuration screen. Just make sure you provide the correct data for each component (web server, cms, cms port, etc). NOTE: the official SAP Explorer Mobile installation guide specifies that installing SAP BI Mobile servers is a requirement. In reality, this is only optional and by installing SAP Explorer server you should be able to access Explorer with your mobile device. You should now be able to start the connection to the Explorer server and work with the space created before. On this example we will use the SAP Experience connection that comes configured by default on the Ipad application. Once a space is selected from the list we would face a screen that looks pretty similar to what you have seen in the web version of Explorer. The mobile version of SAP Explorer has no differences on functionalities against is Web-based version and only minor changes have been done to adapt for touch interaction on the Ipad. As you have seen, installing and preparing SAP Explorer Mobile is a no-brainer. Run through the installation process and you are setup to start using spaces and in-memory analysis on the Ipad. As of now there are no other apps released by SAP for other mobile platforms (i.e. Android). Some might say this is not necessary due to other platforms support of flash technology, but the responsiveness of the Ipad application definitely sets this version appart. We hope to see dedicate applications to come out for other mobile devices soon. The next mobile application - SAP BI Mobile - will be covered in the next article of the series, that should be out in early January. If you are interested or have worked with this application, or if you feel it might be useful in your organization, please leave a comment below. We are noticing that our customers and potential customers are starting to look for collaborative models and workflows. The reason is that they want to foster and improve teamwork and reduce human errors by creating approval flows for their internal tasks. So, if yesterday the power users or IT could directly modify the values of a database without any control, today, with an increasing number of employees and a growing level of complexity for processes, they prefer formal workflows to drive efficiency and always ensure the approval of the management, a collaborative model that can reduce or even eliminate errors coming from lack of control on actions. SAP does not yet have any workflow engine (or at least we are not aware of it), but we have what SAP calls “Social Intelligence” tool, which is called StreamWork. …in a few words: they can collaborate while they work on a project. If you want to access a free version of StreamWork, please go to www.streamwork.com and sign in. Moreover, you can find a white paper attached sap_streamwork, where you can read what SAP says about it. In my opinion, a very interesting tool, worth checking it out. SAP y Clariba le invitan a registrarse en el segundo Webinar de Control del Tráfico de Llamadas para conocer más sobre los beneficios de implementar una solución de atención al cliente en tiempo real. Su Centro de Llamadas y de Atención al Cliente juega un papel importante en el proceso de venta e influye directamente en la experiencia del cliente. Cuando nos encontramos en un pico de llamadas, aumenta el tiempo de espera, los clientes están insatisfechos y los directores de equipo necesitan poder asignar dinámicamente los agentes. También necesitan encontrar la causa raíz de cualquier ineficiencia para marcar el camino adecuado, como la formación del personal o la gestión del proceso. SAP y Clariba le invitan a registrarse en el siguiente Webinar de Control de Tráfico de Llamadas para conocer más sobre los beneficios de implementar una solución de atención al cliente de tiempo real. El primer seminario ha tenido mucho éxito por eso hemos decidido volver a presentarlo el 12 de Diciembre de 2011, de 11:00 – 12:00. El Control de Tráfico de Llamadas de Clariba está basado en la tecnología BI SAP BusinessObjects. Actúa en tiempo real y es la solución más atractiva que permite a los centros de llamadas y atención al cliente mostrar de forma autónoma los parámetros clave del tráfico de llamadas, las alertas de servicio y las tendencias de hasta 5 equipos simultáneamente en una única pantalla. Esto a su vez se puede mostrar en una gran variedad de dispositivos, desde las pantallas de gran formato en su oficina a los dispositivos móviles. Además, está totalmente automatizada, proporcionando información fiable y actualizada para la toma rápida de decisiones. Para más información acerca de nuestras soluciones SAP BusinessObjects para departamentos de atención al cliente, visite nuestra web dónde podrá ver un video resumen sobre el Cuadro de Mandos de Tráfico de Llamadas de Clariba. SAP and Clariba invite you to register to our Clariba Traffic Control Webinar on December 12 from 11:00 – 12:00 (CET) , to learn more about the benefits of implementing real time Customer Service solution. Please note, this webinar will be held in Spanish. Call Centers and Customer Service Departments play an important role in the sales process and are influential in shaping the customer experience. When call volumes spike, wait times increase or customers become dissatisfied with their experience, team managers need a way to dynamically reassign agents to meet changing call loads and management needs a way to drill down to the root cause of any inefficiency to find the appropriate course of action, such as retraining or process changes. SAP and Clariba invite you to register for the Traffic Control Webinar to learn more about the benefits of implementing a real-time customer service solution. The first webinar was highly successful, therefore, we have decided to present it again on the 12th of December 2011, from 11:00 – 12:00. The Traffic Control solution is based on the most integrated stack of SAP BusinessObjects technology. It is a reliable, real-time and eye-catching solution which allows Call Centers and Customer Service Departments to autonomously display key call traffic metrics. This in turn can be displayed on a variety of devices, from large screens throughout the office to hand-held mobile devices. Last month, I had the chance to attend the SAP HANA Training Bootcamp in Dubai (UAE). This was my first opportunity, after a lot of expectation and whitepapers, to put my hands on a real SAP HANA machine and the expectation were met. Let’s start with the impressive hardware improvements that have led us to the In-memory computing revolution. It’s not difficult to understand that the slower part of a database access is reading data from the disks. This problem has been addressed by the database vendors by trying to use storage optimizations, faster hardware, and other techniques but ultimately the database management system needs to read data from the disk. So here the great idea came to play… What if I can store all the data in memory? Not so long ago, when our server processors were 32 bit, we were only able to address 4GB of memory, so that was the maximum amount of memory we cold have in our server. Nowadays with the 64 bits architectures we are able to access up to 2 TB. There is no need to use aggregate tables reducing data storage requirements. We can use table partitioning to increase data access speed. So far we have seen why it is interesting to use In-Memory computing and why do it now, but, how do we manage SAP HANA Appliance? Model our information; these models are used to create multiple views of the transactional data. Preview data from both physical tables and the previously mentioned Information Models. I hope you have enjoyed this overview of SAP HANA appliance. Very soon I will come back with a post on SAP HANA connectivity. If you have any questions or opinions about SAP HANA appliance, please leave a comment below. Implementing technologies in environments that are always changing often generates doubts and challenges for us consultants. Of course you can ask your colleagues, but they are not always free and sometimes they just don't know the answer. So most of the time we are relying on the Internet to find tutorials or people who met the same problems before and explain how they have solved them. Therefore being able to search fast and efficiently makes our lives easier. Fortunately, some of the modern browsers (who said IE6?) give us this possibility. I will now give three main tips to improve the way you search the internet - if you don't have much time, jump directly to the 3rd tip, which is the most effective one. This article focuses on Firefox, but alternative browsers are mentioned as well. Tip n°1: add search engines to your browser (Firefox, Internet Explorer, Chrome, Opera and Safari). On Firefox you can see the search engine box on the top-right corner of your window. Just click on one of them, and confirm that you want to use it as a new search engine. You can now do searches based on this search engine. Tip n°2: assign keywords to your search engines (Firefox, Chrome and Opera). Assigning keywords to your search engines is quite easy. Open the "Manage Search Engine List" window, select the search engine of your choice, click on "Edit Keyword..." and just enter a keyword - and it is better if you make it short, for example "g" for Google and "w" for Wikipedia. Once you've done this, you do not need to manually select the search engine anymore! Go to the address bar (remember the Ctrl+L shortcut), and simply type the keyword for the chosen search engine, followed by the searched term. Example: "g rapid mart" if you want to look for rapid marts on Google, or "w SAP" if you want to look at the SAP Wikipedia page. The search engines feature has many advantages, but also some clear limitations. The most obvious is that not every website has an associated search engine, like for example the very useful Business Objects Board. The second limitation is due to the nature of search engines - they're rather browser-specific, and the process of backing them up / restoring them is not always straightforward. Fortunately, there is an even better solution which combines all the advantages of the search engines with the flexibility of the bookmarks. The solution simply consists in using "%s" in the URL of a bookmark. Let's take a simple example: you are often using the excellent WordReference.com to translate from English to Italian and backwards. If you open the website, type the word "printer", choose "English-Italian" and press Enter, you get on the page "http://www.wordreference.com/enit/printer". Now create a new bookmark, but replace the "printer" in the URL with "%s". You end up having a new URL "http://www.wordreference.com/enit/%s". Assign a keyword to this bookmark - for example en_it. Now if you type "en_it printer" in your address bar (once again remember Ctrl+L), you are taken to the same page. The huge advantage of bookmarks is that they can be synchronized rather easily, be it with Firefox Sync or Xmarks. Here is a list of some of the bookmarks I use almost every day, with URL and possible keyword. Don't hesitate on using them! If you have any further tips, or if you feel a useful bookmark is missing from my list, share it with us on a comment below! SAP y Clariba le invitan a registrarse en el Webinar de Visión Global de Ventas el proximo 22 de Noviembre 2011, de 11:00 a 12:00 (CET) para conocer más sobre los beneficios de implementar una solución de análisis de su performance de ventas. Los ingresos de su empresa dependen en gran medida de la eficiencia y de la transparencia de su ciclo de ventas. Por lo tanto, está claro que tener una visión global acerca de su proceso de ventas le ayuda a tener mejor control sobre su negocio y le permite identificar cuales son sus fortalezas y debilidades en términos de productos, mercados y vendedores. También revela los patrones de ventas e ineficiencias que tal vez pueda tener, lo que le permite tomar las medidas adecuadas, tanto a corto como a largo plazo, asegurando la supervivencia de su negocio. Con todo esto en mente, Clariba le invita a invertir una hora de su tiempo para conocer nuestra solución de análisis de ventas, impulsada por SAP BusinessObjects, líder mundial de Business Intelligence. Nuestra solución “Visión Global de Ventas” permite a los tomadores de decisiones en departamentos de ventas y marketing obtener acceso instantáneo a información actualizada y ofrece una visión de 360° de los ingresos, de las tendencias y de su embudo de ventas (Sales pipeline). El formato es visualmente atractivo y fácil de analizar, y permite a los usuarios el profundizar para poder descubrir las orígenes de cualquier ineficiencia con el fin de realizar una toma de decisiones apropiada. Esta solución es fácil de usar, interactiva y automatizada, y se puede adaptar a cualquier industria y cualquier fuente de datos. Todo ello se le demostrará durante nuestro webinar. Los desafíos comunes de los departamento de ventas. Martes 22 de Noviembre de 2011, 11:00-12:00. SAP and Clariba invite you to register to our Global Sales Insight Webinar on November 22 from 11:00 - 12:00 (CET) , to learn more about the benefits of implementing a sales performance analysis solution. Please note, this webinar will be held in Spanish. Your company’s revenue is largely dependent on the efficiency and transparency of your sales cycle. It is therefore clear that having global insight into your sales process helps you to have better control over your business and enables you to identify where your strengths and weaknesses are in terms of products, markets and salespeople. It also unveils sales patterns and inefficiencies, enabling you to take suitable actions, both short and long term, ensuring the survival of your business. With this in mind, Clariba invites you to invest one hour of your time to learn about our sales analysis solution powered by SAP BusinessObjects, global Business Intelligence leader. Our Sales Global Insight solution allows decision makers in Sales and Marketing departments to gain instant access to current information and provides a 360° view of sales revenue, trends and pipeline. The format is highly visual and easy to analyze, and allows users to drill down to discover the sources of any inefficiency in order to determine the appropriate course of action. This solution is user-friendly, interactive, automated, and can be adapted to any industry and any data source, all of which will be demonstrated to you during our webinar. Common challenges of a Sales department. Case study and demo of the dashboard. Attend this session: Tuesday 22nd November 2011, from 11:00 to 12:00. Today SAP announced that it has been positioned by Gartner Inc. in the leaders quadrant of the "Magic Quadrant for Data Integration (DI) Tools" report. SAP believes this recognition affirms its continued momentum and market leadership in the enterprise information management (EIM) space. During the time we spent at our customer in Abu Dhabi, we learned a lot about the SSM customization until we realized that the final product could be a new standard instead of a customization. Our customer had some concerns about the out-of-the-box features and they were asking us to modify the functionality by adding new ones and automating the entire platform. The biggest challenge we had was related to the approval work flow. How can the customer approve the creation of a new Strategic Objective? SSM does not allow the user to perform this task and our customer raised this topic as a risk. The work flow for the strategic components became a requirement from that moment. They asked us to use K2 black pearl, which for us was like a black box. We decided then to merge our teams and split the work in order to achieve the same goal. We created a simplified SSM data model that reduced the number of tables needed to create a Balanced Scorecard and we connected it to SSM. From our interface we were able to populate any strategic components as well as the cube (using IDQL commands). We then created the database and a dedicated ETL (with SAP BO Data Services) that was populating the balanced scorecards. On the other side of the desk, our customer was building the work flow in K2, creating the new web pages that are now replacing the SSM administration tool and connecting the output directly to our interface tables. It took us a while before we got a chance to see something that was really working, but we did it; we built a powerful interface that creates balanced scorecards within SAP SSM. In this interface everything runs automatically, the KPIs as well as the perspectives, the objectives, the initiatives and also the milestones are being updated by a scheduled ETL job in SAP BusinessObjects Data Services. Normalization and re-engineering of SSM tables (after performing a specific analysis on SSM data model) to create our interface DB. Connection of our interface tables to the SSM tables. Customization of the standard IDQL jobs that are updating the SSM Cubes. Making SSM read-only to avoid changes on initiatives or milestones from the end user interface. Making the SSM interface tables available for reporting and dashboarding as they can be included in a simple universe. So far the only manual intervention that the customer needs to do is create the strategy maps. This step needs to be done from the SSM administration tool. To conclude, the solution we explained above has been created as a customization but it can be adapted for any customer that might need this level of security and detail for their SSM implementation. Part of this implementation could be applied for the companies that need to have an automated KPIs basket that does not includes any manual entry for the values (the final part of this solution can be considered as an SSM DB connector). This solution has been developed by using SQL Server 2008 but it can be connected to any data sources (i.e. SAP R/3, ORACLE DB, flat files, etc.). If you think that this solution might work also for your company or your customers please feel free to contact us by email at info@clariba.com or by leaving a comment below. In SAP BusinessObjects BI4, SAP provides us with an enhanced LifeCycle Management (LCM) application to deploy content. This version has new features useful for moving our files between servers or directly between BusinessObjects XI repositories. The enhancements include aspects like security, the capacity to recover different document versions, the ability to safeguard information and provide internal control about what changes are made and who has made them. It is also important to note that with the release of BI4, the Import Wizard (the tool used up to this release) is no longer working for deploying content between two BI4 servers; it only works to upgrade from a previous release. One of the most important new features of LifeCycle Management is that you can import categories as well as other types of objects such as: Information Designer, Pioneer, Crystal Reports (next generation), Events and Xcelcius Enterprise. Another improvement is the new exportable file version: LCMBIAR, which contains an enhanced file structure adapted to these new features. The Job component allows us to define a set of objects to transfer in LCMBIAR format. We can group these Jobs in folders to keep content organized into departments. However if the two servers are in the same network, the files can also be migrated directly from one platform to another. To create a new Job you will need to define: name, folder, origin and destination. Optionally but recommended you can add description and keyword. In the Job you can select the objects that will be included in the LCMBIAR files, then click on ‘Manage dependencies’ to add items related to the objects selected before. Finally, you need to click ‘Promote’ to configure the Job settings. Summary: Check source and destination names to ensure the file is moving from the right source to the correct destination, change management ID. Security Settings: Check this option when you want to release the security of the files. Test Promote: Use this option to ensure that there will not be errors during the conversion. Schedule Job: This is to plan the promotion task for later, very useful if you are not available to do it manually, typically at out of office times. The new feature Rollback deserves a special mention. It allows us to check the different versions of a conversion set and, in case of errors, to revert back to a previous stable version and therefore prevent any risk to the project. The Job status refers to the current version in the system. You can access the Job History from the home page after login to LCM. The Job History shows the list of all the previous versions of the selected Job. Please note that you only can go back to the most recent previous instance. To restore the latest instance, click in the check box and then press Rollback button. Partial Rollback: enables you to roll back a set of infoobjects included in a job by selecting them from their objects list. In summary, the handy Rollback function sets the latest instance as the current system version and enables the previous instance for rollback if required. To summarize, the enhanced LifeCycle Management application is the best option to release your documents from development to production in SAP BusinessObjects BI 4.0. If you have questions about this method, or if you want to share your experience or tips, please feel free to leave a comment! A collaboration between Supreme Council of Information and Communication Technology (ictQatar) and German IT giant SAP will make Qatar at par with more technologically advanced countries on bringing innovative IT solutions to the private and government sectors. Top officials from SAP and ictQatar separately outlined these programmes yesterday during the opening of SAP World Tour 2011 in Doha held at Sheraton Doha Hotel which was attended by some 300 participants from local business and government sector as well as SAP community partners.